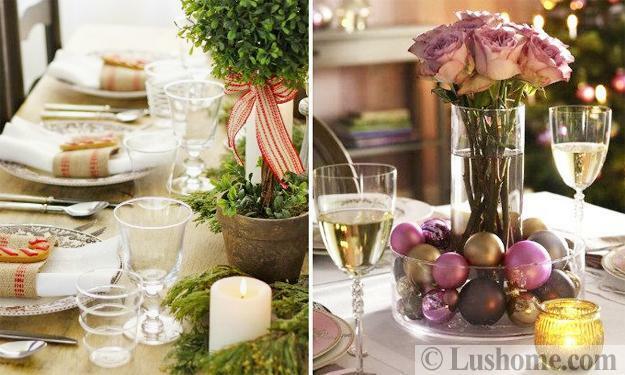 Fresh flowers make fabulous table centerpieces for winter holidays. 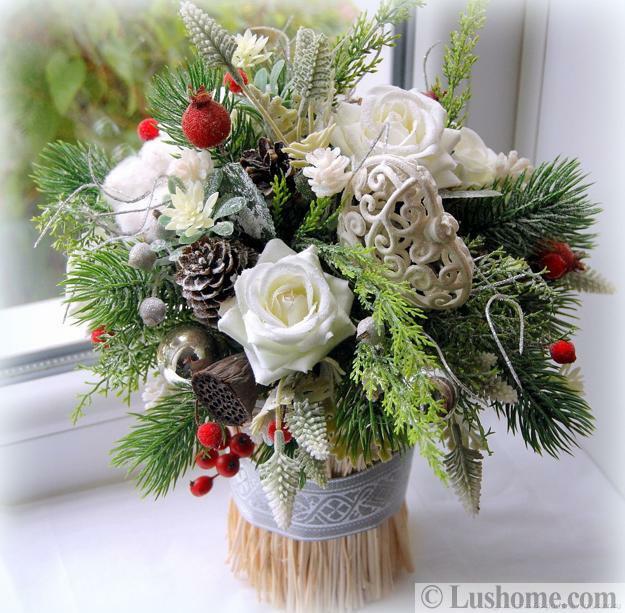 Beautiful flowers that are lovely eco gifts can create vibrant floral arrangements and enhance festive holiday tables. 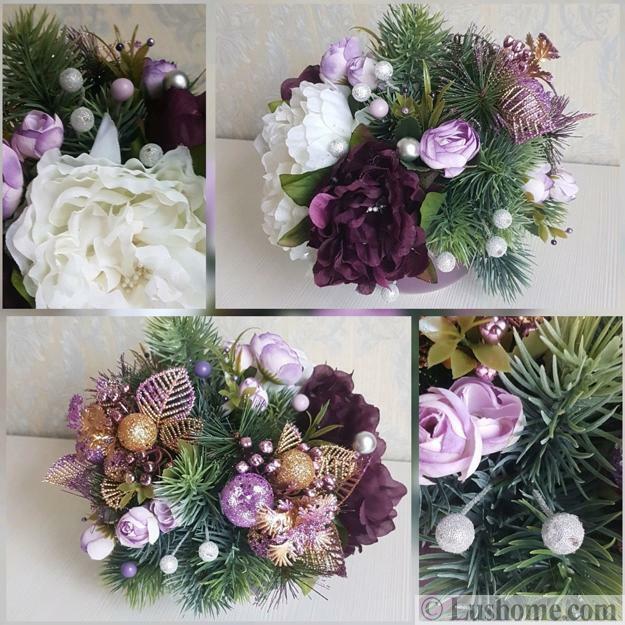 You can personalize your Christmas table decoration by mixing colors and adding handmade Christmas decorations to your floral table centerpieces. An attractive and original floral arrangement gives authenticity and stylish elegance to holiday tablescapes and makes Christmas decorating look warm, vibrant, and spectacular. 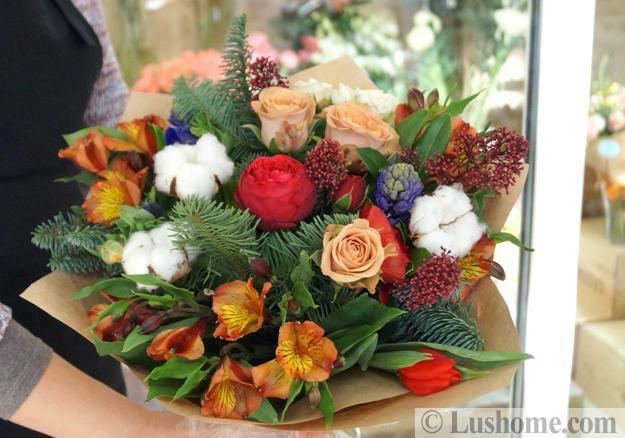 Nothing can beat the winter flower arrangements in creating a fresh, chic look. 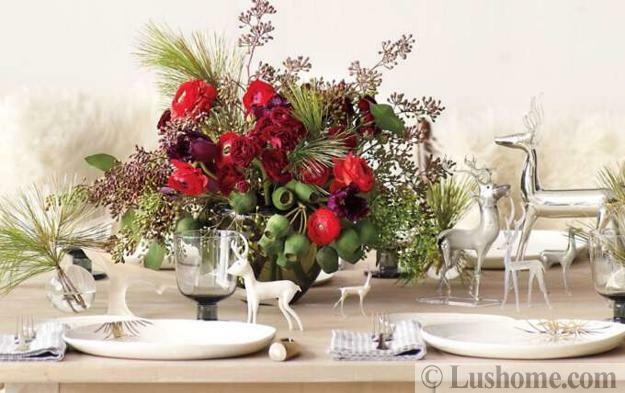 Winter flower arrangements that feature evergreen branches are alluring and magnificent table centerpieces. 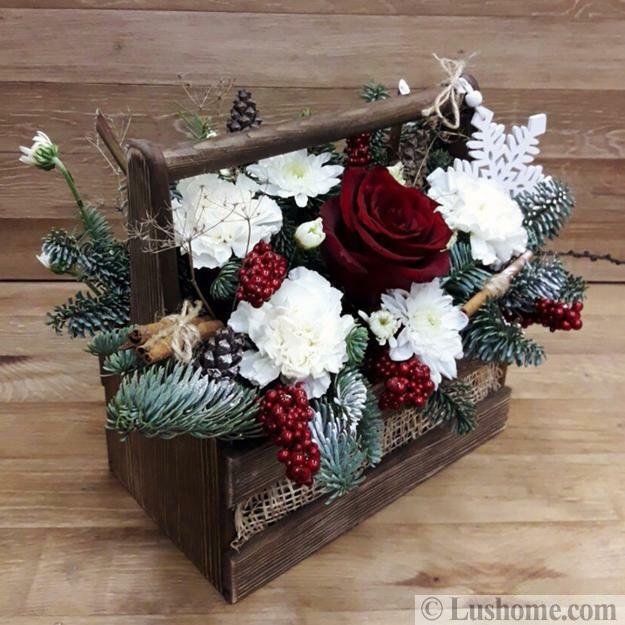 Fresh flowers, combined with seasonal accents and handmade Christmas decorations make spectacular table centerpieces for all winter holidays and occasions. Vibrant floral arrangements bring a sweet aroma into winter homes, and unique accents create memories of festive Christmas table decoration that your family and friends will treasure. 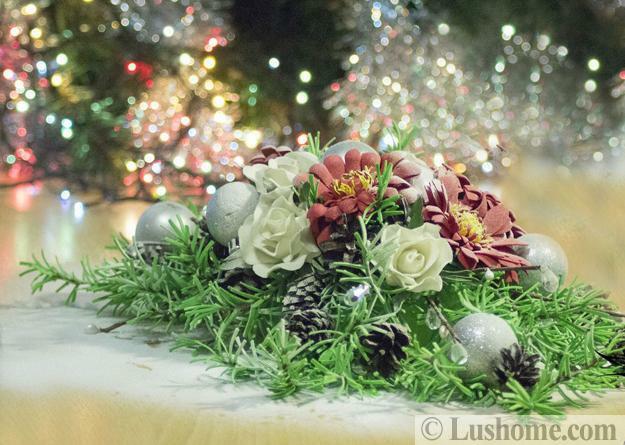 Colorful floral arrangements convey deep emotions and give the luxurious feel to winter holiday decor. 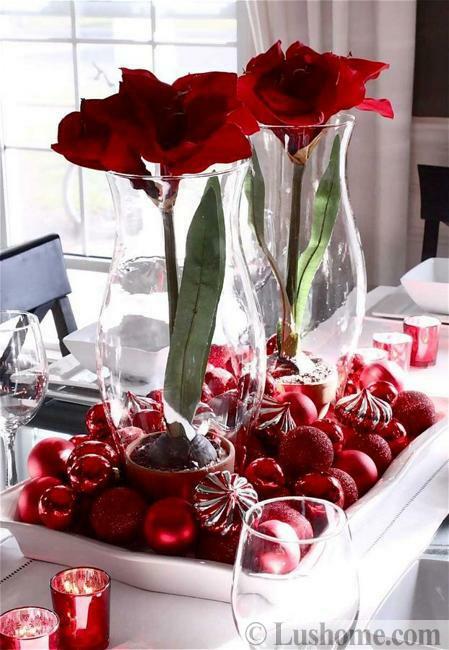 Every color can enhance a flower arrangement, beautifully altering table centerpiece ideas and bringing a specific meaning into holiday table decoration. White flowers symbolize purity and a new beginning. 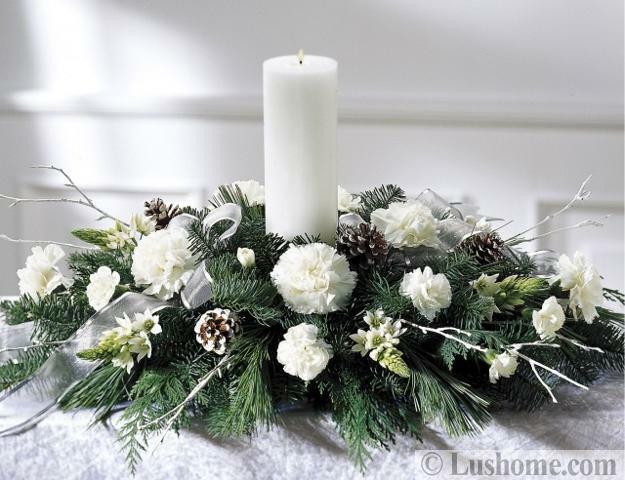 White floral arrangements are ideal for table decoration in winter. 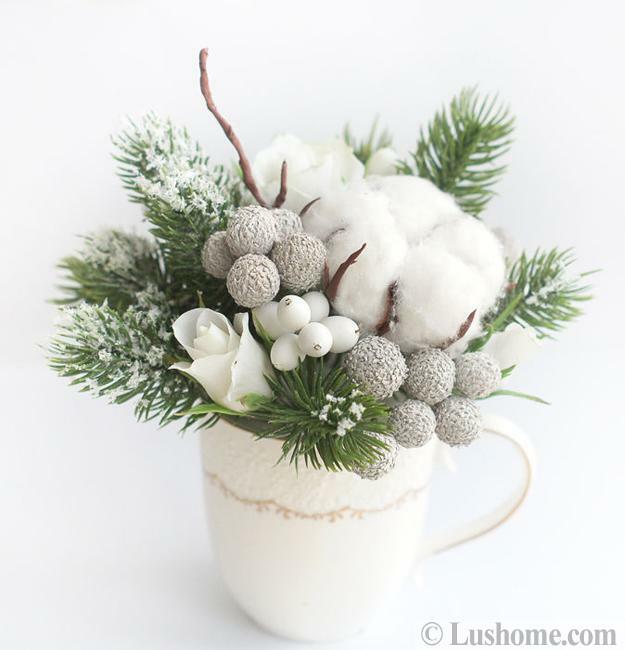 Beautiful flowers in white are a perfect accompaniment to snowy winter holiday decor. Red floral arrangements are bold and beautiful. Yellow flowers look sunny and evoke feelings of joy and warmth. 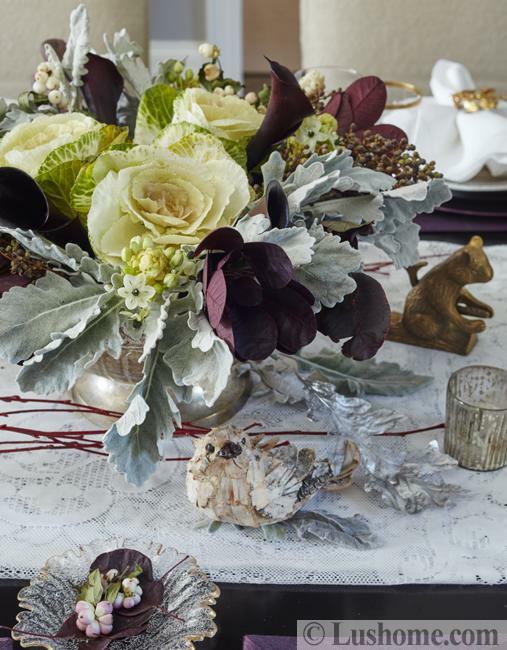 Floral arrangements with yellow flowers make holiday tables look welcoming and bright. 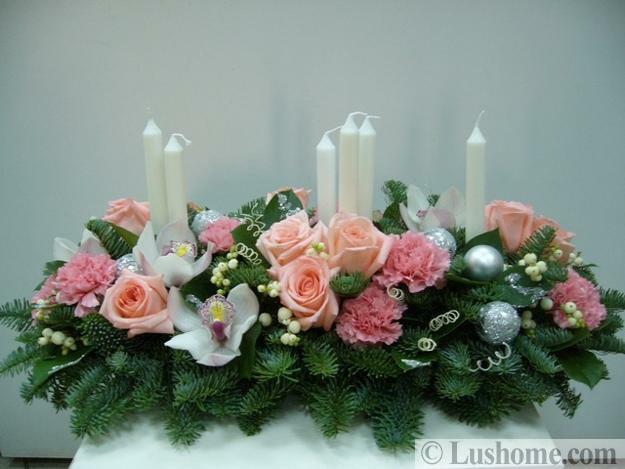 Pink flowers bring tenderness and sweetness into holiday table decoration. Light pink blooms, combined with Christmas greenery and pine cones create elegant and graceful table centerpieces for winter holidays. 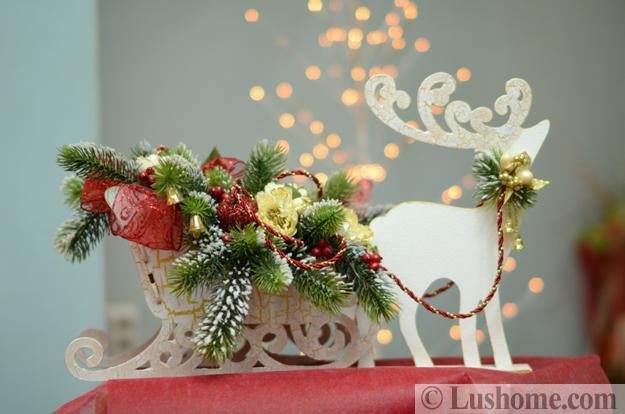 Orange blossoms are perfect for creating vibrant Christmas decorating. Orange floral arrangements increase positive energy and bring excitement into dining rooms. 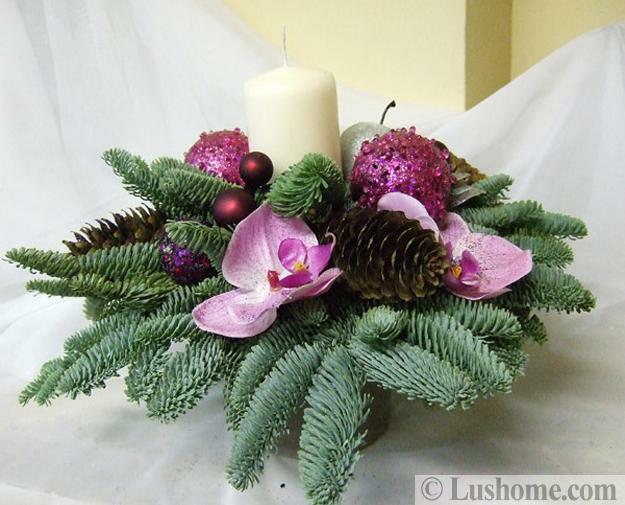 Floral table centerpieces in orange colors mix well with evergreen branches, pine cones or handmade Christmas decorations offering fascinating ways to jazz up and refresh your Christmas table decoration. 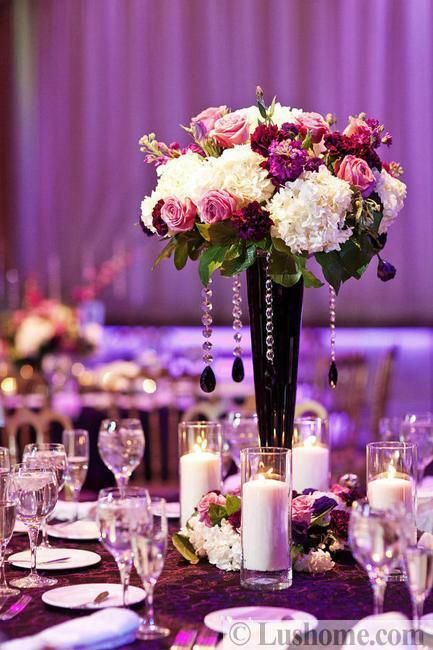 Lavender and purple flowers convey a sense of regal majesty and splendor. 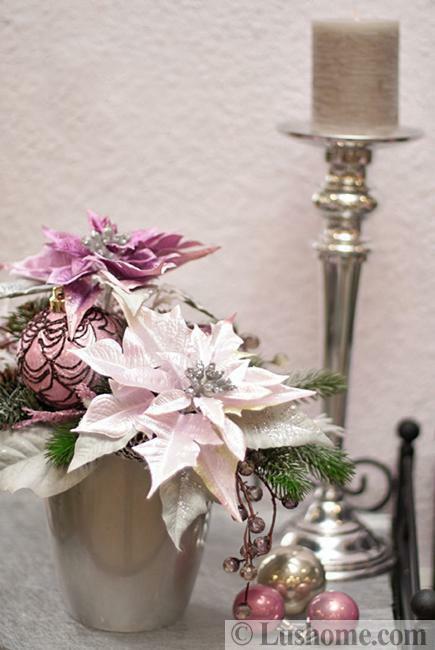 The beautiful flowers add fabulous accents to Christmas table centerpieces that your family and guests will adore. 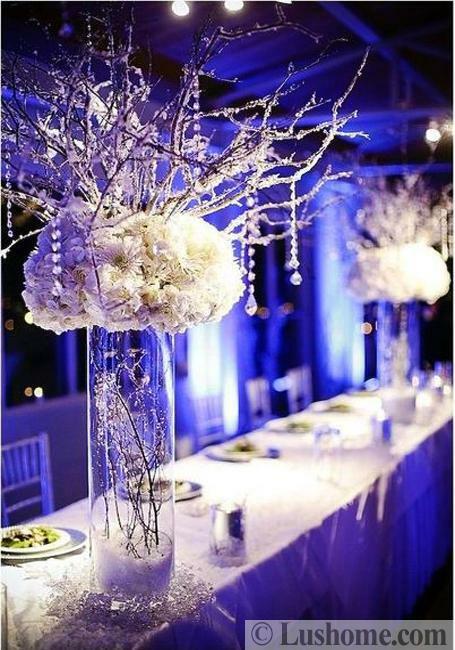 Blue floral arrangements bring a mysterious vibe and bring the beauty of fresh blooms into chic table decoration. 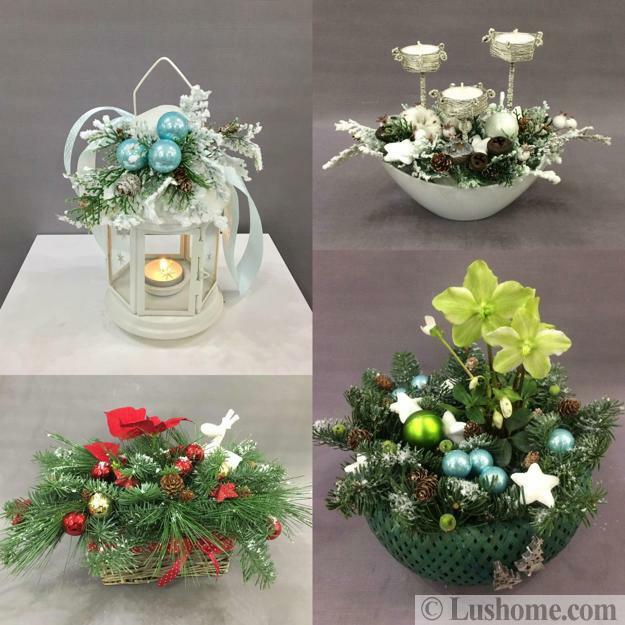 Green flowers look harmonious with evergreen branches in winter holiday decor. 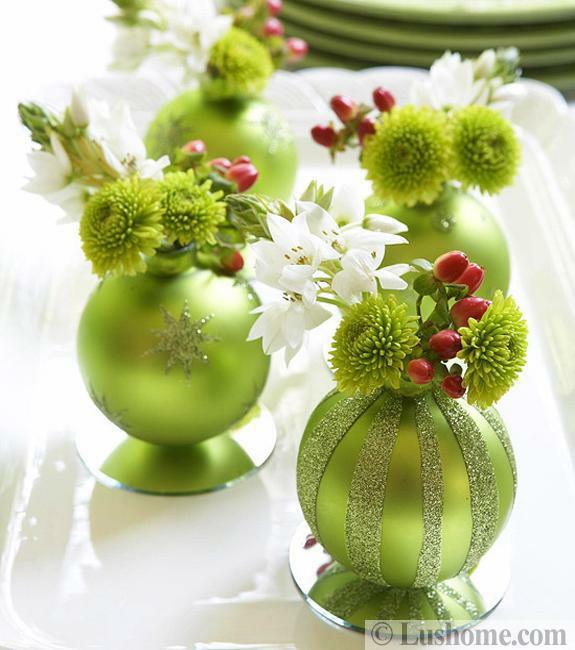 Green is one of the traditional Christmas colors symbolizing opulence and tranquility. 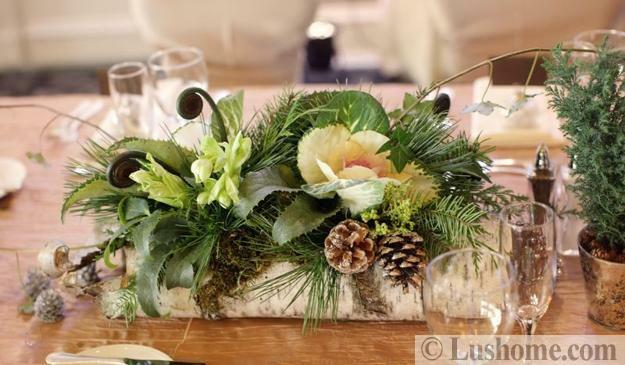 Green floral centerpiece ideas are peaceful and spectacular, perfect for elegant and luxurious winter holiday tables.